Evidently it doesn’t matter if you are on the East Baton Rouge Parish Metro Council, a concerned citizen, or a homeless man — the message is clear: Mayor Kip Holden is “Off Limits” — and so is his office! According to The Advocate and Baton Rouge Business Report, the Mayor recently spent more than $8,000 to ‘protect’ himself from the public by installing security cameras, a panic button, double glassed in doors, and a keypad. Mayor Pro-Tem Mike Walker stated his displeasure at the expenditure (albeit a Homeland Security Grant) and declared it unnecessary due to the fact that the building has uniformed security and that Mayor Kip Holden has his own entourage of personal body guards and drivers. Walker’s thinking is accurate in that he referred to these security measures as sending a message to the public that the Mayor’s Office is “Off Limits”. Surely no one is surprised at this blatent move by the Mayor to continue his ‘closed door’ policy? Holden and his ‘former’ good buddy, Sheriff Sid Gautreaux, made the same move in his offices in an effort to line up with the same type of closed door policy. Campaign promises to visit with each individual have gone by the wayside. Closed doors = closed minds? Holden was first elected to the position of Mayor-President of East Baton Rouge Parish due to Baton Rouge Next’s campaign against former Mayor Bobby Simpson. The campaign was known as “Anybody But Bobby” or “ABB”. With a goal that was clear and concise — “ABB” pledged to put their money, time and effort behind getting anyone other than Bobby Simpson elected as Mayor of EBRP. The “ABB” train was on the move, and Kip Holden arrived at the station just in time! From the onset of the campaign, Holden was on the attack — claiming, of course, that his ‘addressing the issues’ was not negative campaigning, but simply “pointing out problems with Simpson’s record“. One might remember that William Daniel also ran in the primary of 2004. Daniel loaned his campaign enough to run the infamous traffic ads produced by BRNext showcasing frustrated citizens sitting in EBR Parish traffic. The political action committee, BRNext, created numerous ads that pointed out all the problems in EBR Parish and targeting the Mayor’s Office (Bobby Simpson in particular) for the issues at hand. Holden spent very little in his own campaign, yet he benefited greatly from both ABB’s and Daniel’s expenditures. I digress. Back to the issue at hand. 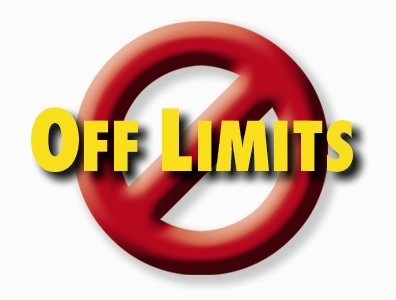 The bottom line on Mayor Kip Holden being “Off Limits” is not a new concept. Building glass double doors, adding keypads and buzzers to allow individuals to enter, and security cameras are just external signs of a policy that has been in place for some time now. The only thing that makes me wonder is why it has taken so long for the media and public to recognize the dichotomy of Holden. On a social level, Holden is the cat’s meow…always in attendance of every community event (beer in hand), a smile on his face, kissing babies, dancing, sharing motivational tidbits, and making campaign promises under the auspice of his catch phrase that Baton Rouge will be “the next greatest city in America” – Amen, brother! The political side of Holden, however, is the man with a huge ego that loves to be driven around like Miss Daisy, catered to by his entourage, protected by his body guards, and is unapproachable for sensible open discussions about how we can work TOGETHER lest we fall apart. The latter is a dangerous man who lacks understanding. He closes himself off from those with fresh ideas who have nothing to gain except to see the greater good prevail in a community. His intentions are less than honorable when he does not share openly and freely information that the public (and the Metro Council) deserve to receive, and rejects the wisdom of crowds. Yes, Mayor Kip Holden is Still “Off Limits”. The only difference is that now you have to be buzzed in — or will they hit the panic button?